As far as news-reading devices go, there’s no better one out there than the iPad. And among web-based apps for subscribing to and keeping track of RSS feeds, Google Reader has very little competition. It’s no surprise, therefore, that the App Store is teeming with apps for the iPad that sync with Google Reader to bring news to Apple’s tablet. Even with so much competition to contend with, Perfect RSS Reader has made an impressive splash in the crowded pool and made our heads turn. The app wraps practically every feature offered by Google Reader in a well-designed user interface and offers it all for the tantalisingly low price of just $1.99. Let’s take a look at what it’s capable of. The app’s user interface is well-designed, with pleasing colours and a good layout. It gives you seven font choices and allows the adjustment of font size. The news items are in a column on the left and the articles appear on the right side of the display. A quick flick to the left coaxes the article view to cover the whole screen. Various buttons adorn the edges of the screen, one bringing up the main menu, another for settings and yet another for changing the layout to display all the articles as a grid of images. 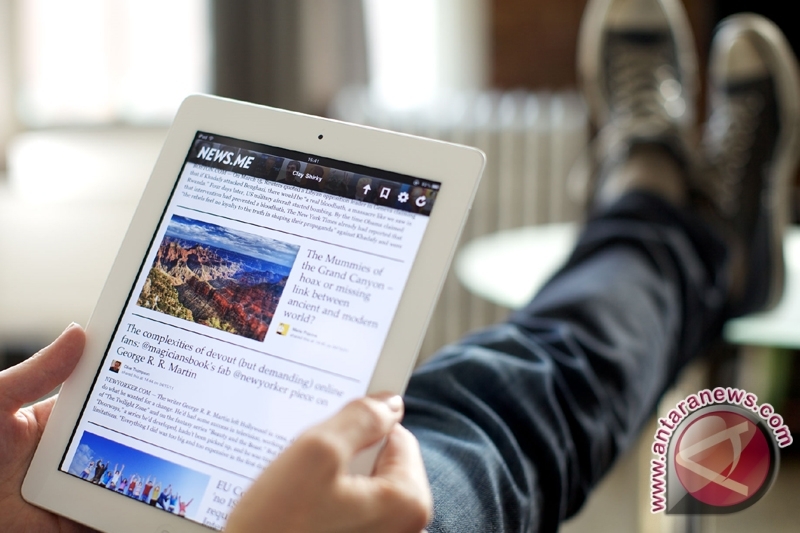 When reading articles, you can drag it up or down past its bounds to move to the next or previous one respectively. There’s also a little switch-like element on the right edge of the screen that you can slide up or down to navigation between articles, which I found to be intuitive and fun. Overall, my impressions of Perfect RSS Reader’s interface were very positive. Perfect RSS Reader is teeming with features. Besides the usual abilities to synchronise your lists of subscriptions and read/unread statuses of articles with Google Reader, it also allows you to star or like articles; add notes to them; share them on Google Reader or via email, Facebook, Tumblr or Twitter; or add them to Delicious, Evernote, Instapaper or ReadItLater. When you click on any link within the app, you have the option to view the resulting webpage in its original glory or bring up a text-only view courtesy of Google Mobilizer, Instapaper Mobilizer or Readability. The settings icon in the upper-right corner shows a popover which contains all these settings and then some, enabling you to customise all these features to your heart’s content. The RSS icon on the upper-left corner of the screen also brings up a popover (divvied up into three tabs), and a very powerful one at that. The first tab allows you to manage all your subscriptions, including changing the order they are displayed in and deleting the ones that you no longer want to subscribe to. The second tab gives you access to all your subscribed items and the ones Google Reader recommends based on your reading habits. You can also take a look at your starred, shared and liked items from here, as well as keep track of all your notes. The last tab shows you the people you follow and are followed by. A Plus button on the popover lets you subscribe to a new feed at any time using its URL (although support for grabbing the URL automatically from the website’s URL would have been a welcome addition) and add it to an existing or new folder. A search bar allows you to search the titles of all the items you currently have in your articles list. Although it has a good interface, the contrast between the various UI elements in Perfect RSS Reader needs a little tweaking. As it stands right now, it is sometimes difficult to distinguish between them, specially at lower brightness levels. The image view, though pretty, is not very useful because it gives very little information about individual articles, sometimes uses the wrong image from the article page to represent it and does not include those articles at all which have no images associated with them. There are also some other minor bugs, no doubt due to the 1.0.1 version number at which it currently stands. Every article includes a “People liked this” rejoinder, irrespective of whether anyone has liked it or not; it should simply be hidden if no one has liked an article. I also once faced a major crash when trying to parse the content of a page via Readability, rendering not just the app but my whole iPad useless until I did a hard reset. Even with the few shortcomings (and the somewhat awkward name), however, Perfect RSS Reader would be a great addition to any news junkie’s iPad who uses Google Reader to feed their addiction of the latest goings-on in the world. The app is well-designed and easy to use, even though the huge assortment of options and settings may make it a bit daunting for the unprepared user. But if you like what you see in the screenshots above, you should definitely give the free version a try.